"This charming and eminently useful guide from Paste magazine food editor and writer Bir deserves a spot on the bookshelf of any foraging foodie. Instead of serving up a simple list of fruits and vegetable with tips on canning, Bir weaves in personal anecdotes and trivia about, among other things, the advent of commercial pectin (patented in 1913) and the curious history of key limes (once pickled and served as snacks for schoolchildren). Bir offers solid takes on such standbys as lemon bars and sour cherry scones, but her ingenuity and the value of foraging comes to life with recipes like mulberry and peach cobbler with an almond topping, habanero crab apple jelly, and a pawpaw gelato. Bir also takes time to make sure foragers are clear on manners and ethics ('Forage legally and mindfully, on both public and private land'), as well as which poisonous plants and fruits to avoid (such as honeysuckle and pokeweed). Even if readers don’t have a lemon or apple tree in the backyard, they’re sure to find some useful advice, as Bir does an outstanding job of illustrating how to get the most out of simple, often neglected or discarded ingredients." 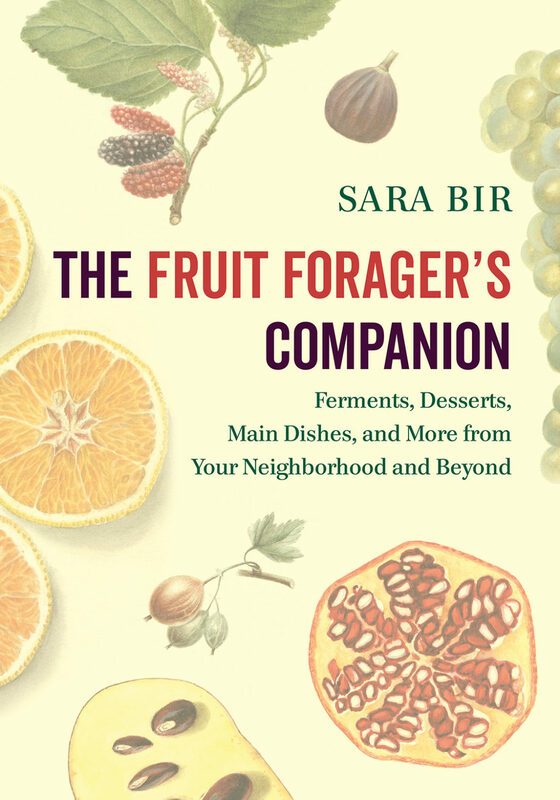 "A Culinary Institute of America degree armed Sara Bir with cooking expertise, but it’s her clever writing and inquisitive, experimental mind that make The Fruit Forager’s Companion so exciting. This hybrid cookbook/plant guide/DIY manual entertains as much as it informs. Bir eloquently discusses why foraging is a satisfyingly sustainable, meditative way of collecting food, and of reconnecting to neighbors and to the natural environment. 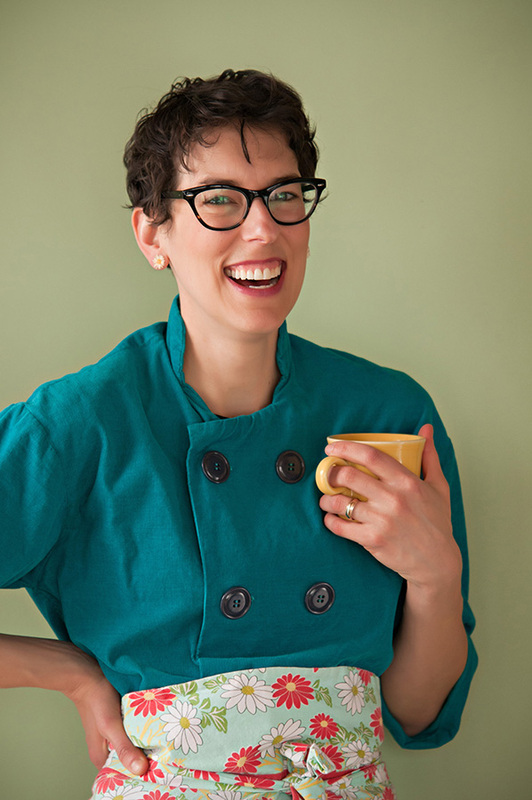 She provides reassuring information for novice and experienced cooks alike, dispensing advice on foraging etiquette (Don’t be a 'scrumper'—someone who steals apples from orchards) and thoroughly breaking down methods of harvesting, storage, and preservation, from canning to fermentation. Forty-one chapters on fruit species are packed with essays, photographs, recipes, and ideas for kitchen experimentation. There are also all-important tips on correctly identifying edible fruits and their poisonous look-alikes. While the book provides ample information on common fruits, the passages about unusual fruits, like sumac and loquats, are invaluable. Bir is well-versed in food history and foodways, leading to intriguing discussions of old- fashioned preservation methods and charming recipe ideas from 'wild cherry bounce' to pontack, which is a sort of elderberry Worcestershire sauce. This compendium delivers a wealth of Bir’s sassy opinions and effervescent prose. Whether she is expounding on the importance of lifelong exploration, the dangers of monoculture agribusiness, or describing ground cherries ('I delight in their lacy little hulls, the berries like golden pearls in a filigree setting') and rose hips ('If rose hips were women, the ones you’d want would look like R. Crumb drew them'), her writing exudes personality, wit, and intelligence. Bir is a learned, inventive guide whose sly humor and playful voice will win many over to become dedicated fruit scroungers and recipe explorers. Perusing this book will have you playing around with your food in no time, whether it’s mahonia or maypops, mayhaws or pawpaws." Paste Magazine - Why Forage?